Papaya is used in a number of natural skin care products like moisturizers, masks, face washes and scrubs because it has such amazing beauty benefits thanks to the nutrients in it including vitamins, minerals like magnesium and potassium and fibre. It also has papain which can help get rid of dead cells on the surface of the skin and make the skin more elastic and firm. 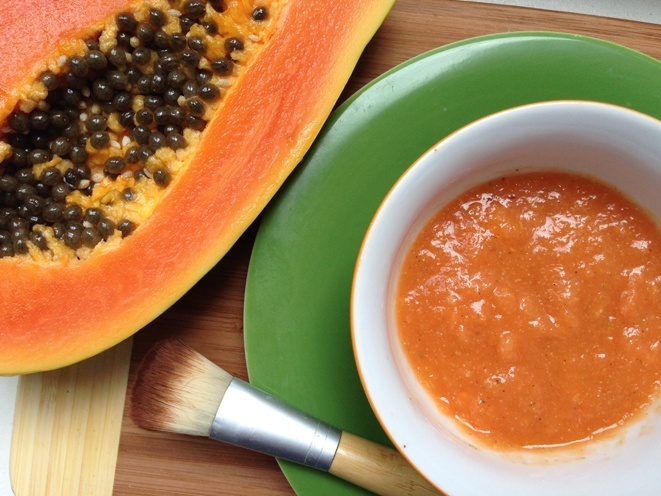 Yes, both eating and applying papaya to your skin can make it smooth and beautiful. Papaya is known to delay signs of ageing like wrinkles, crow’s feet, reduce tan and acne and eliminate dryness. Here we tell you how to use papaya in your face mask if you have normal, dry or oily skin. It is best use these face masks at least once a week. 1) For oily skin: Mash a ripe papaya, squeeze the juice of half a lemon and mix well. Apply this to your face for 30 minutes and wash off with lukewarm water. 2) For very oily skin: Break open an egg and use only the egg white. Best it with a spoon. Add mashed papaya and 1 tsp milk. Apply on face and wash off. 3) For dry skin: Combine mashed avocado with papaya and add 1tsp almond oil Massage the mask gently on your face and neck. Wash with warm water and pat dry. 4) For very dry skin: Combine 1 tbsp of yoghurt with mashed ripe papaya and apply on face. Keep on for 15 minutes and was off. You must use this mask only if your skin is very dry. 5) For normal skin: Add 1 tbsp besan to mashed papaya. Add organic coconut oil. Apply on face and wash off after 30 minutes. 6) For combination skin: Take mashed papaya and mix one part with besan and another part with aloe vera. Apply the besan-papaya mix to the oily T zone and apple aloe vera-papaya mix to the rest of the face. Wash off after 30 minutes.